The all-female 'Ocean's 11' spinoff is perfunctory at best, but 'Hereditary' lives up to the hype as the year's most impressive horror feature. Heist movies demand a very specific list of ingredients. Attractive stars. A complicated plan. A big ol’ twist (the more, the better, though). And antiheroes so good at their gig we look past their moral failings. “Ocean’s 8,” the all-female spinoff from the Steven Soderbergh trilogy, boasts all of the above. So why is the finished product so ordinary? Sandra Bullock leads a plucky group of gals eager to swipe an oh, so sweet necklace. She’s Debbie Ocean, brother to George Clooney’s character from the original “Ocean’s” franchise. He’s left this mortal coil, but she’s fresh out of prison and eager to get back in the con game. So she assembles her top-notch crew, including tag-team partner Lou (Cate Blanchett), hacker Nine Ball (Rihanna) and pickpocket powerhouse Constance (Awkwafina). Their target? A necklace worth a cool $150 million. Not a bad haul, even if you split it eight ways. 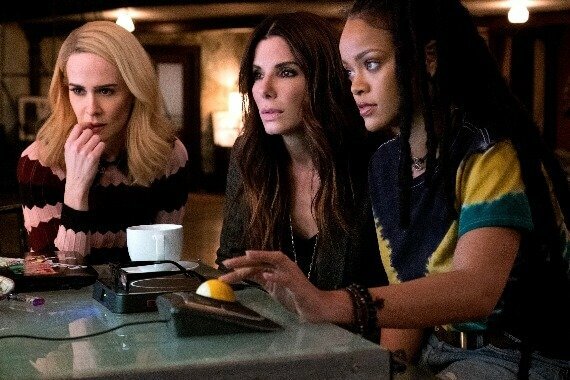 Sarah Paulson, Sandra Bullock and Rihanna target the Met Gala – and an ungodly expensive necklace – in the spinoff heist film Ocean’s 8. Debbie assembles the team, a movie cliche given little life here, and then she works through the thieving steps. It’s interesting to watch, both the plausible cons and the absurd ones, too. 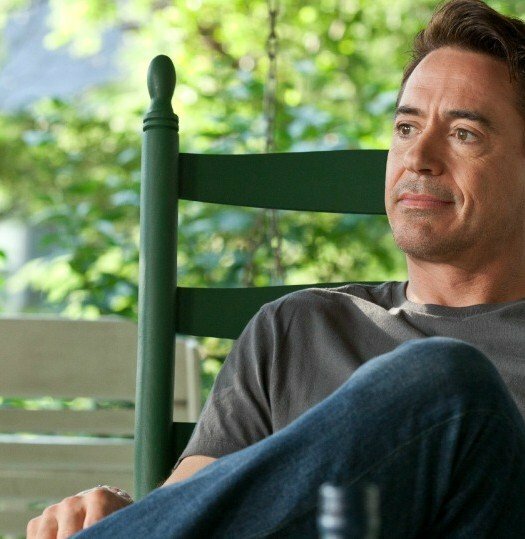 We’ll forgive plenty in a caper film, assuming we’re dazzled by the script and stars. Only the screenplay, credited to director Gary Ross (“Seabiscuit”) and Olivia Milch (daughter of David Milch), lacks the snap this kind of caper requires. The laughs arrive, but they’re mild chuckles at best. Where’s the snappy banter, the giddy back and forth exchanges between these heroines? The unintentional biggest laugh? A product placement moment set in a Subway restaurant. These ladies may have style to burn, but heist films aren’t cheap. What’s worse? Some of the stars aren’t playing to their strengths. Bullock is fine comic actress who can go deeper with dramatic fare. Just ask Oscar. Here, she’s asked to play Steve McQueen-level cool, and she simply can’t make it happen. FAST FACT: The 2001 film “Ocean’s 11,” a remake of the 1960 film featuring Frank Sinatra and Sammy Davis, Jr., earned $183 million during its U.S. theatrical release. Blanchett elevates everything in her wake, but her character never comes to life. The smaller roles get better mileage. Awkwafina is a true wild card, embracing her skills and blue collar roots. By mid-film she’s relegated to an afterthought. Mindy Kaling is endearing in lighter fare. Here? She looks like she walked onto the set from another production. We’re always intrigued by high-stakes heists. The slight of hand, the meticulous planning, the happy accidents along the way. “Ocean’s 8” coasts on all of the above, but the players never break a sweat. The soundtrack picks up steam mid-movie, and suddenly this con gets a pulse. The boost is short-lived, though, even if a late appearance by James Corden provides a more organic jolt. “Ocean’s 8” mostly avoids the kind of lectures that you fear given the all-female format and Hollywood’s finger waving mindset. Debbie mentions how women are often ignored in certain scenarios, but that’s mostly it. Instead, the film’s best line takes the whole woke movement and gives it a noogie. At one point Debbie cracks that they’re inspiring little girls who dream of being criminals one day. It’s a spry tweak on the “Ghostbusters” debacle, where the future of female scientists rested on the mediocre reboot’s existence. The film comes alive on a few occasions. Anne Hathaway shows a zest for ripe comic moments playing the woman wearing that spectacular necklace. Sarah Paulson’s arrival as a suburban mom with a talent for fenced goods starts strong, but the screenplay squanders her comic potential. Director Ross assembles all the elements like the pro he is, but he’ll never be confused with an A-list stylist. When you’re left with a story as mechanical as the one powering “Ocean’s 8,” a little pizazz goes a long way. HiT or Miss: “Ocean’s 8” will scratch your itch for a con. Expect anything more and you’ll primed for a letdown. You only get one “it” horror film each year. Entering the theater to see “Hereditary,” a film with as much buzz as an indie shocker can carry, is a little intimidating. You’re practically crossing your arms, daring the film to live up to its reputation. Get ready to uncross those arms. Toni Collette is Annie, a married mother of two mourning the loss of her own mom. The two were estranged, but Annie still can’t shake off her passing. So she pours her energies into her work. She’s a miniature maker by trade, crafting delicate figurines for her gently demanding boss. That leaves less time to care for her teen children, whose lives are about to hit an unexpected roadblock. It seems the matriarch’s legacy may not be buried with her. To say more would spoil the sense of discovery, something first time writer/director Ari Aster toys with for much of the story’s running time. Horror movie fans know all the beats from their favorite genre. The jump scares. The cheap scares. The exposition moments. The way the camera pans to include the ghost in the frame at a second’s notice. After awhile horror hounds crave something new and unexpected. “Hereditary” offers just that, while living up to the pre-release hype. It’s hard to know which of the two is more impressive. Toni Collette plays a mother watching her family slowly unravel in Hereditary. Collette is a marvel as a mother grappling with the death of her inscrutable ma. Horror often makes do with passable, even amateurish performances. The actress’ work is exemplary here, one of a dozen elements that draw you into the tale. Aster is in no hurry. He slowly paints each scene, allowing his actors (including excellent youngsters Alex Wolff and Milly Shapiro as Annie’s kids) to double down on the tension. By the third act you’ll be mesmerized, and more than a little creeped out. The film pivots dramatically based on one critical, jaw-dropping frame. From there it’s a slow but steady adrenaline drip that leaves us clutching our armrests. You want surprises? “Hereditary” is chock full of them, both tonally and visually. There’s one necessary moment that feels familiar. Otherwise, this is fresh, fertile ground ready to be explored from every angle possible. Gabriel Byrne seems the odd man out through much of “Hereditary.” He plays Annie’s husband, a man unwilling to admit there’s something amiss on the home front. The actor slowly asserts himself as a patriarch of some consequence. 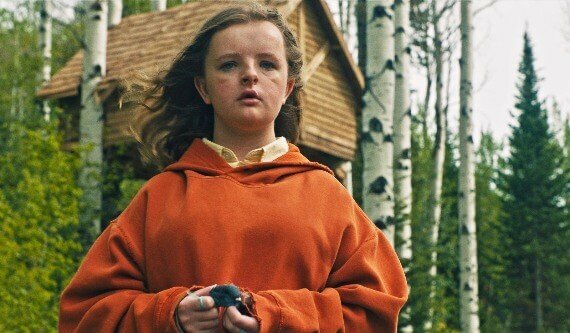 Milly Shapiro delivers one of many sublime turns in the expertly crafted shocker Hereditary. The film’s soundtrack offers a hybrid of standard horror beats and more ethereal sounds. It hums and whirrs, ratchets up and ebbs, and it’s perfectly synched with the storyline. How can a first-time scribe hit nary a false note? The mood is so assured, so confident, that directors twice Aster’s age might stumble to keep up. There’s a sense of mystery, suspense and downright dread in the third act, the kind that must be experienced in a full, but respectful theater. 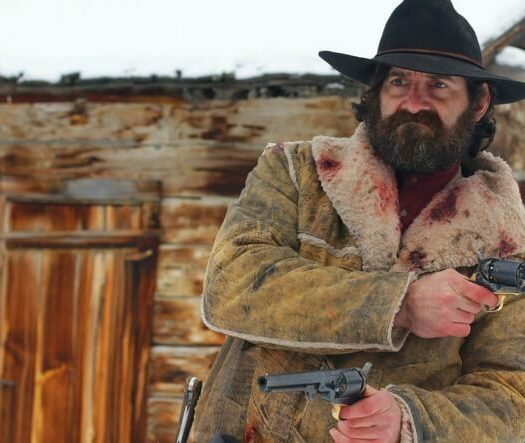 HiT or Miss: The year’s most talked about horror movie is worth the chatter. And then some.